Malcolm Seal has been working with willow since 1988 and produces baskets that are both functional and beautiful. His work is inspired by the British agricultural tradition as well as elements from other European styles. Raw materials are sourced from around the South West with an increasing amount coming from his own willow bed in the Bride valley near Bridport. Malcolm's work ranges from the domestic to the sculptural and has been seen in a variety of contexts from kitchens to cathedrals to contemporary art galleries. Customers include individuals, interior and garden designers, prop buyers from film and television and collectors. 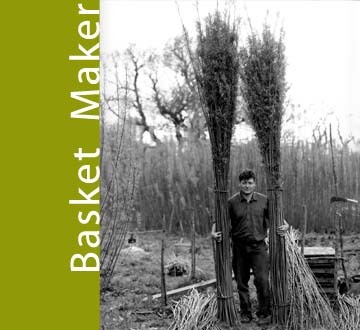 He sells his baskets locally at markets, nationally through exhibitions and direct from his workshop.